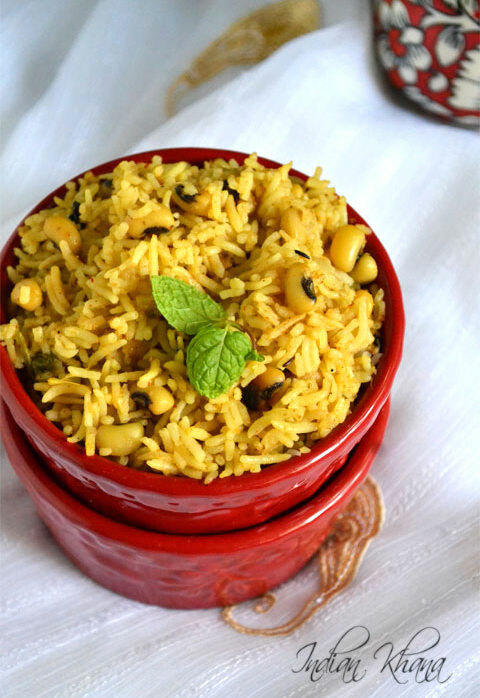 If making this for kids then you can add any vegetables of choice too to make this biryani more nutritious and filling. If you just soak lobia then this biryani can be done in no one for a great one pot meal. 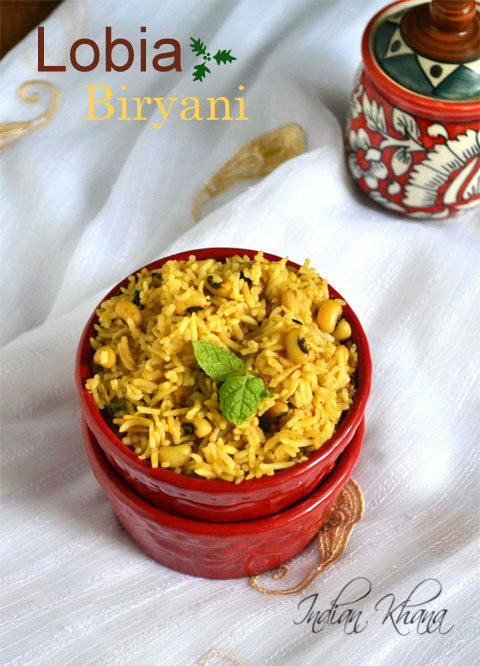 I added coconut milk which adds wonderful flavor to this biryani if you like you can add water too instead of coconut milk or add half coconut milk half water. Serve with raita of your choice and/or papad to enjoy a great meal. 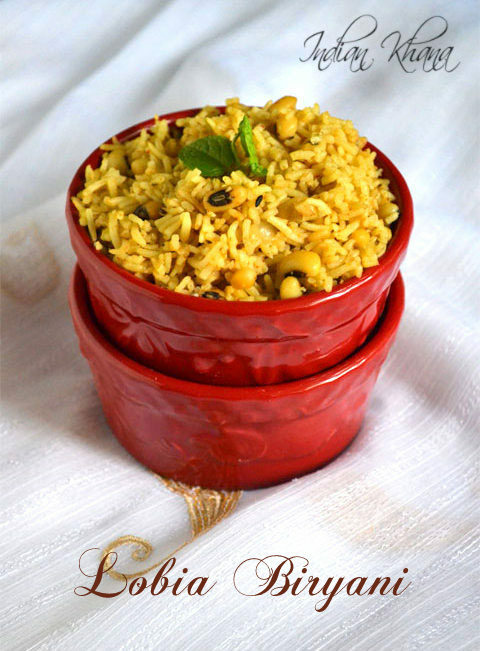 You can also check other Rice Varieties Recipes and Lobia Recipes here. 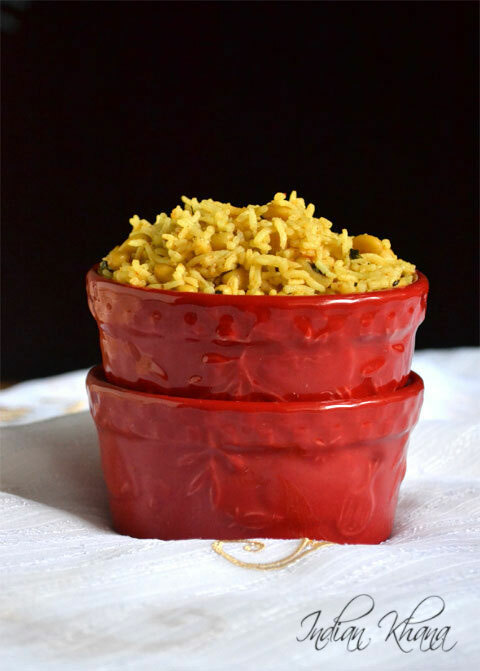 Easy, flavorful biryani with Lobia or Chawali, spices and coconut milk. Soak lobia/chawli in ample of water for 8 hours or over night. Drain and wash lobia keep aside. Wash and soak rice for 30 minutes, meanwhile slice onion, chop chili, tomatoes, coriander leaves. In a pressure cooker heat oil or ghee add cumin, caraway, fennel seeds, whole garam masala and saute until cumin cracks, add ginger-garlic paste and saute until golden brown. Add onion, and cook until onion becomes soft. Add lobia and saute for 2-3 minutes. Add red chilli, coriander, turmeric powders and give a good stir, add tomato and cook for a minute. Add rice and gently stir, saute for 2 minutes. Add coconut milk, water, salt, garam masala, coriander leaves and mix well. Pressure cook for 2 whistles. Once pressure released gently fork biryani. You can replace coconut milk with water or use 1:1 of water and coconut milk. Don't add too much water or coconut milk use as mention or little less if not rice will get mashed.